Sirloin is the cut of beef from the back of the cow, and is widely considered to be a prime cut. In its entirety beef sirloin will generally be sold as roasting joints but it can also be portioned up into sirloin steaks, a melting, juicy cut which is best cooked medium rare to preserve its glorious flavour. For a splendid Sunday dinner try Marcus Wareing's Roast beef sirloin recipe, served with roasted potatoes and a creamy mushroom sauce. This impressive recipe also offers valuable guidance on perfecting your joint, such as the best roast beef cooking times for rare, medium and well done meat. 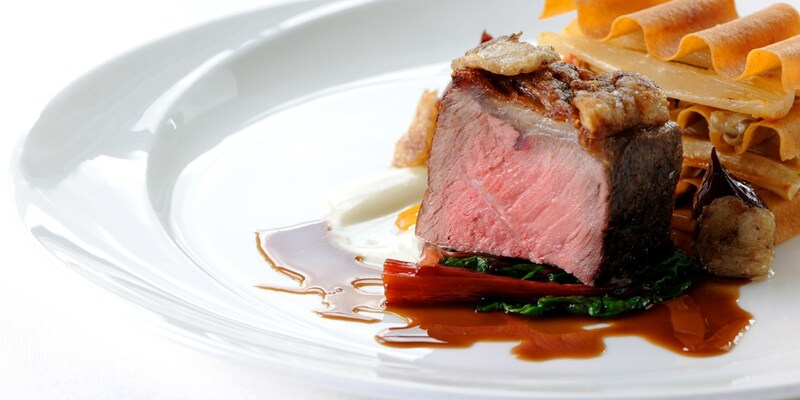 Similarly rich and delicious, Robert Thompson serves his Roasted sirloin of beef with bone marrow sauce, salsify, mushrooms and red wine shallots.